The specialty award honors a female character, and those involved in bringing her to life, that goes above and beyond to be inspiring and encouraging to break down stereotypes and elevate the conversation around female ingenuity in technology fields. [We are] proud to recognize the power and influence actors and actresses have to bring to life inspiring and exciting characters who can change attitudes and perceptions of diverse audiences about career paths of the future. The first ever SET Award for Portrayal of a Female in Technology, presented by Entertainment Industries Council (EIC), the National Center for Women & Information Technology (NCWIT) & Google is announced today. This inaugural honor is the latest expansion of the long-standing EIC SET Awards which recognize television, feature film, comic book, DVD, digital content, radio and news journalism that encourages young people in science, engineering and technology (SET) career paths. Through this collaboration, entertainment and media merges with technology career paths and diversity initiatives to inspire vast audiences in pivotal career paths. The specialty award honors a female character, and those involved in bringing her to life, that goes above and beyond to be inspiring and encouraging to break down stereotypes and elevate the conversation around female ingenuity in technology fields. Portrayal of a Female in Technology is the first SET Award to showcase a female’s role in entertainment regarding technology. 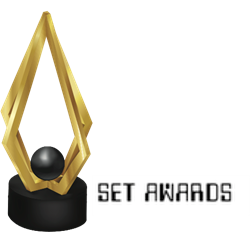 Launched at the 4th Annual SET Awards, produced by EIC, the nomination period for the awards will begin December 2, 2014 at http://g.co/GoogleSETAward. Nominations will be accepted at http://g.co/GoogleSETAward through January 18, 2015. Voting will be held online in Spring 2015 and the winner announced at the 2015 NCWIT Summit for Women and IT on May 19-21 in Hilton Head, South Carolina. The National Center for Women & Information Technology (NCWIT) is a non-profit community of more than 575 universities, companies, non-profits, and government organizations nationwide working to increase women’s participation in computing and technology. NCWIT equips change leaders with resources for taking action in recruiting, retaining, and advancing women from K–12 and higher education through industry and entrepreneurial careers. Find out more at http://www.ncwit.org.